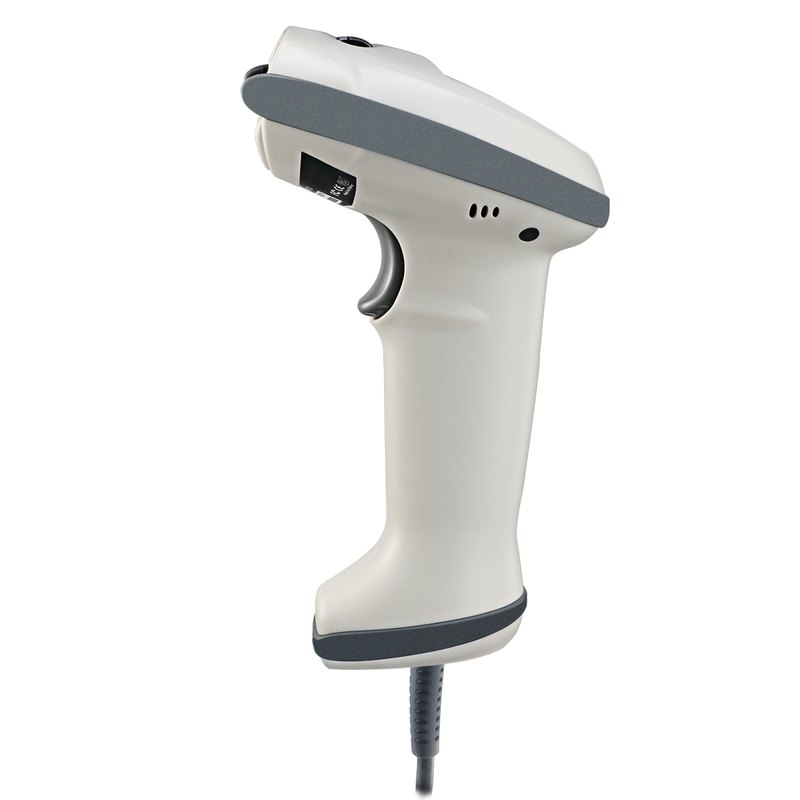 The Nuscan 7600TU-W is made with antimicrobial material which prevents the growth of harmful bacteria and protects against the buildup germs. 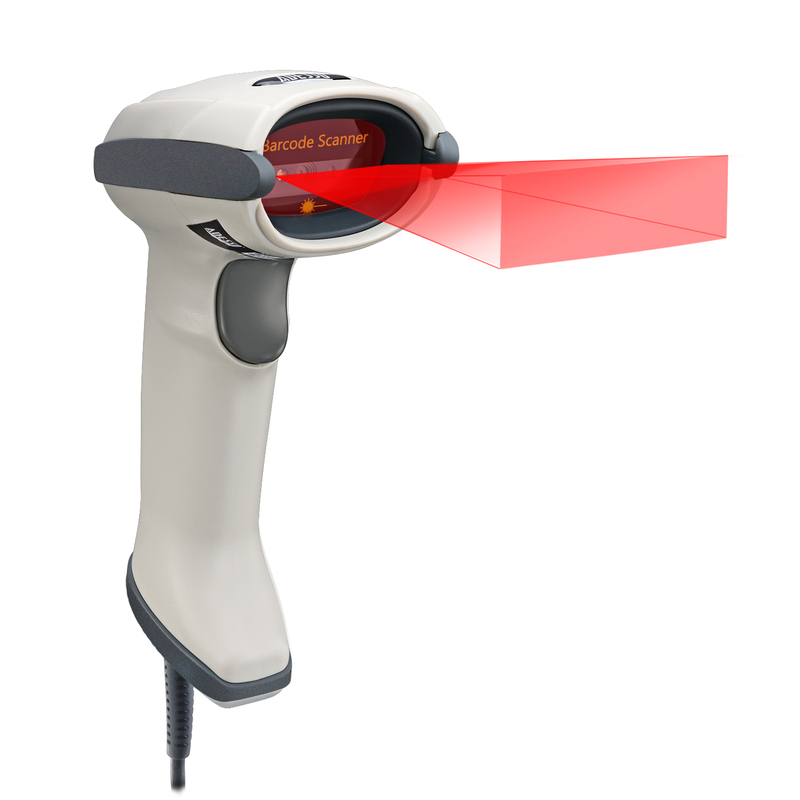 Easily and instantly read 2-dimensional barcode symbologies such as the most common PDF 417, QR, Micro QR, and Data Matrix. 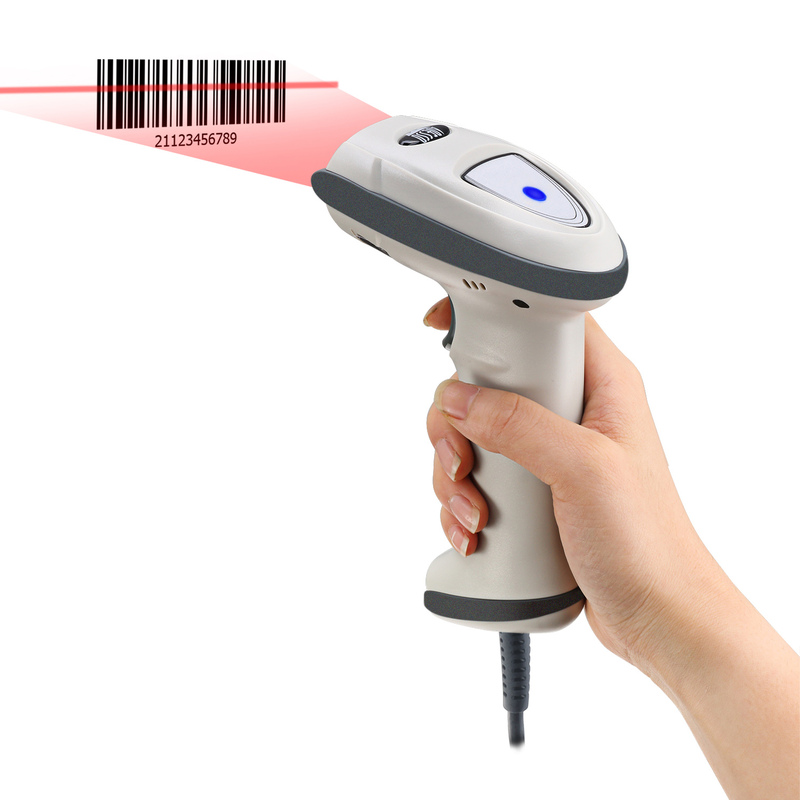 Wide variety 1D barcode symbologies are supported as well making the Nuscan 7600TU-W truly reliable. 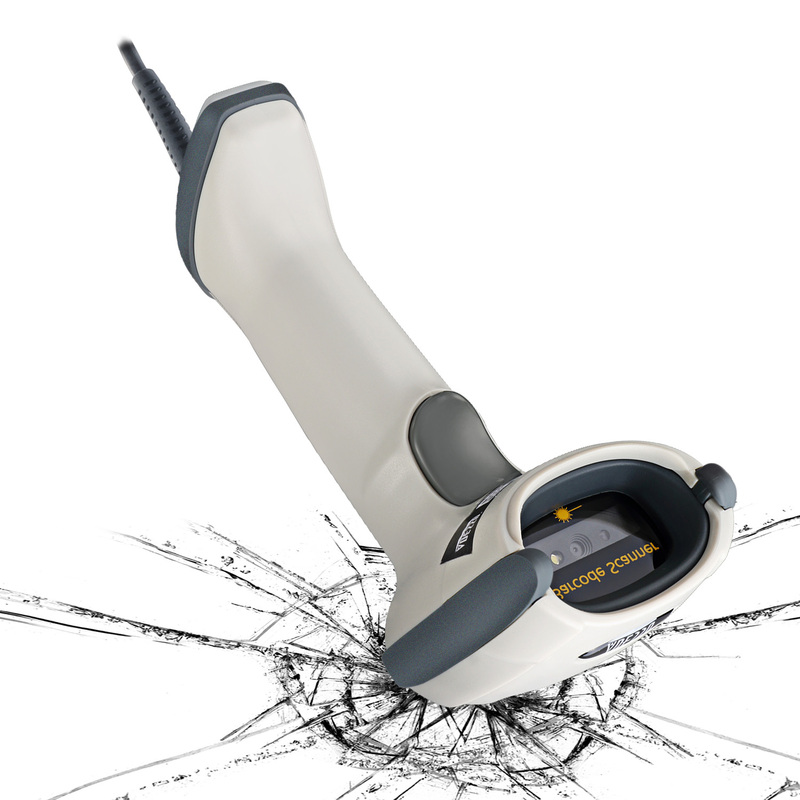 With its rugged design and durable silicone plastic material, the Nuscan 7600TU-W is less likely to become damaged due to accidental drops. 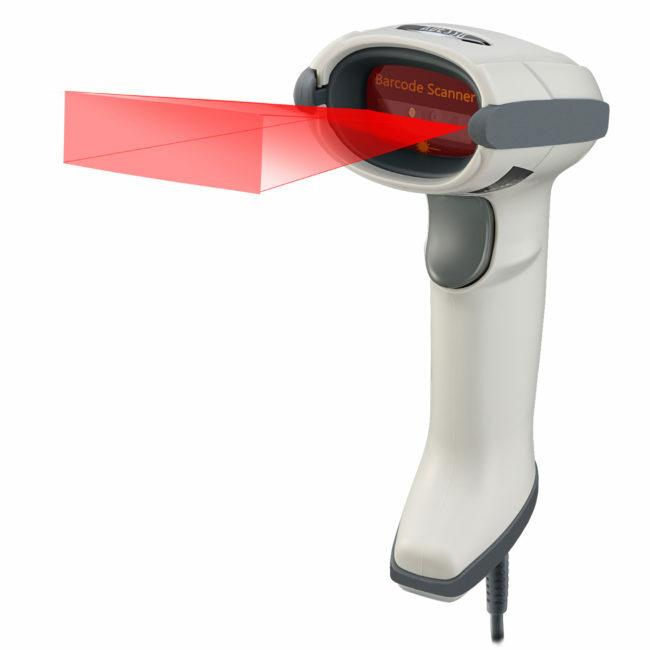 The 2D scanning engine is able to scan barcodes up to 12inches scan depth. Product Description: The Adesso Nuscan 7600 Series is compatible with a wide range of 1D and 2D barcode symbologies. With its COMS imager the Nuscan 7600 Series is able to scan major 2D barcodes such as PDF417, QR Code, Micro QR Code, and Data Matrix. 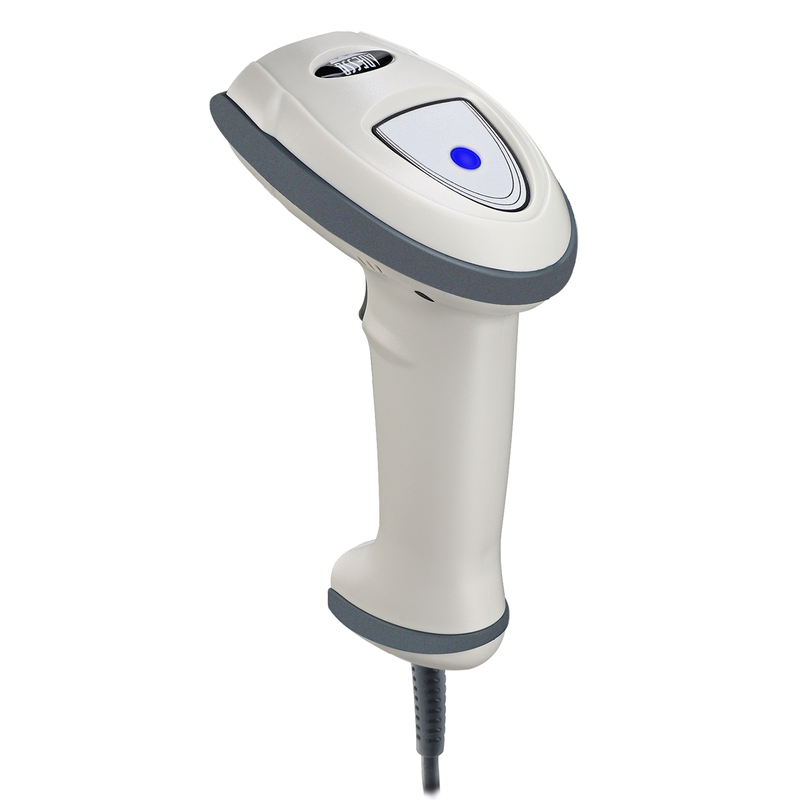 As your daily peripheral companion, your peripheral must be able to provide you with good hygiene and cleaniness. 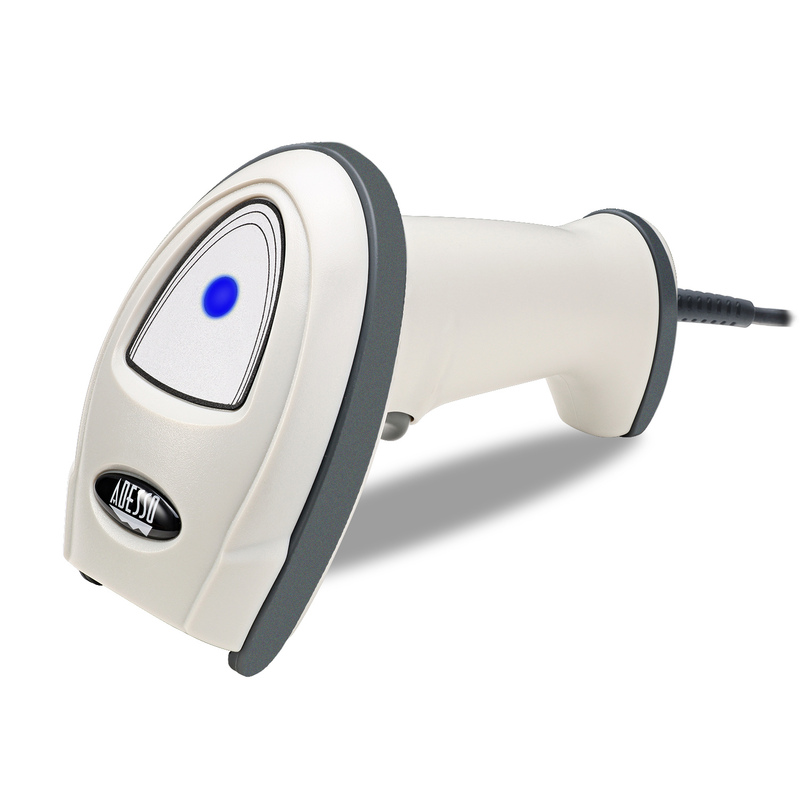 Built with antimicrobial substances, the Nuscan 7600 Series can be cleaned periodically and prevents germs from growing on its surfaces. Its drop protection also adds to its ruggedness. 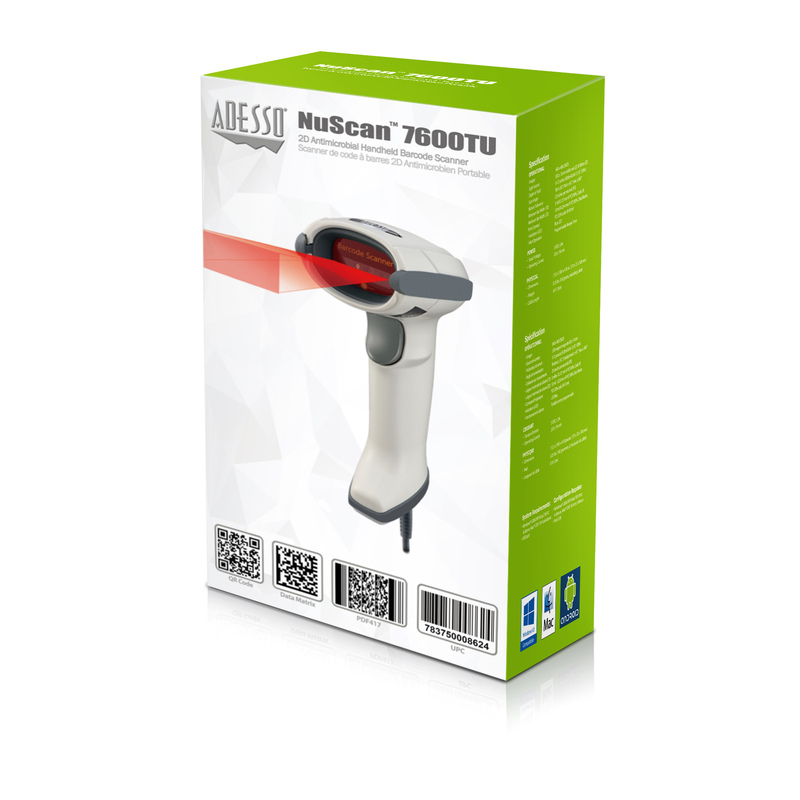 With all these great features on top of its great looking design, the Nuscan 7600 Series is ideal across many different applications.